New Delhi, June 14, 2016: Directorate of Training and Technical Education (DTTE), Govt. of Delhi and Wadhwani Foundation’s Skills Development Network (SDN) today announced a strategic partnership aimed at transforming Delhi’s Polytechnics and ITIs into market driven high performing institutes producing skilled workforce. Sh. 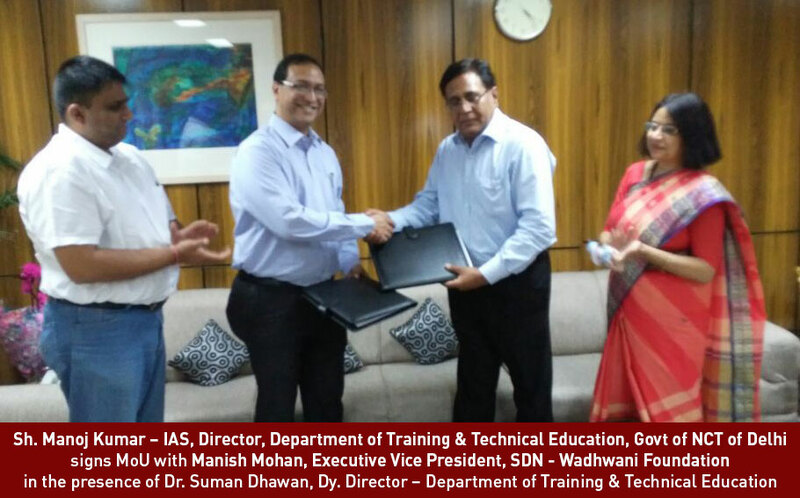 Manoj Kumar – IAS, Director, Department of Training & Technical Education, Govt of NCT of Delhi exchanged the MoU with Manish Mohan, Executive Vice President, SDN – Wadhwani Foundation in presence of Dr Suman Dhawan, Dy. Director – Department of Training & Technical Education. A highlight of this MoU is the introduction of new Employability Course in all 27 Government ITIs & Polytechnics and setting up Industry Collaboration Cell. The program will focus on building partnership with 50 public sector employers to accept 5000 internship or apprenticeships. The collaboration is devised to re-invent ITIs and Polytechnics into modern manufacturing training hubs and multi-skill institutes. It is aiming to advance employability training courses such as work and soft-skills; upgrade the manufacturing courses to modern manufacturing training practices and introduce local high-demand Services courses in addition to the technical courses in ITIs. Three Key enablers are proposed to transform ITI and Polytechnics into Modern Manufacturing Training Hubs and Multi-Skill Institutes (a) advancing employability training courses such as work and soft-skills (b) upgrading the manufacturing courses to modern manufacturing training practices and (c) Introducing local high-demand Services courses in additional to the technical courses in ITI. The MOU suggests starting with transformation of ITIs through employability courses in the first year. Additionally, employer engagement for education, internship and apprenticeship by recruiting State PSUs and private employers to participate in content development and part-time teaching, and a close partnership on providing paid internship and apprenticeships to students is envisaged. The employers can be motivated to participate vide access to trained talent and use of CSR funds. The execution of ITI Transformation in Delhi at scale, as envisaged in the MoU, will be through an effective program management unit (PMU) which will be managed by the Government of NCT of Delhi. SDN as a knowledge partner will deliver education and training through e-content and technology platform to reach scale and to enable the entire job creation and talent development process in the State. Skills Development Network (SDN) aims to equip non-college-bound high school graduates with sufficient work-skills to command family supporting wages (Rs 12,000+). Today, SDN works across 3000 high schools and with over 200,000 students and is embarking on scaling this to 15,000 schools over the next three-five years, in partnership with the Indian government. SDN is also working with the Central and State Governments to transform ITIs to modern manufacturing training hubs and multi-skill institutes, and with employers to engage in providing adjunct faculty, internships and apprenticeships. Opportunity Network for Disabled (OND) mainstreams the educated disabled into sustainable, high-quality corporate jobs through a business value proposition. 8,000 people have been placed through this initiative and OND, in partnership with the government and industry, is building capacity to place 100,000 over the next five years with the ultimate goal of corporates recognizing the business value of hiring and mainstreaming the disabled. Research and Innovation Network (RIN) aims to create a world-class innovation ecosystem in India with the goal of propelling India towards the top ten innovative nations in the world. The Wadhwani Research Centre for Biotechnology (WRCB) at IIT Bombay and Shanta Wadhwani Centre for Cardiac and Neural Research (SWCCNR) at NCBS, Bengaluru, are the two pioneer centers set up by RIN. The Startup and Small Business Innovation (SSBI) initiative aims to create national ecosystems in critical sectors of high importance. Policy Research Center (PRC) provides data-driven research inputs for informed policy action towards accelerating economic growth. PRC has assessed the performance of two of India’s most comprehensive and largest programs initiated by the Department of Biotechnology and administered by Biotechnology Industry Research Assistance Council (BIRAC) – SBIRI and BIPP. 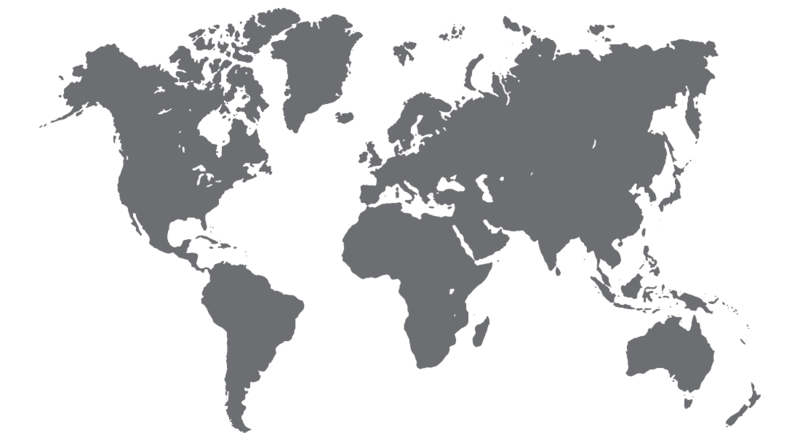 The assessment led to evidence-based recommendations for policymakers to improve impact and scale of innovation programs in small- and medium-scale industries. The Foundation envisions creating partnerships with various central government organizations to initiate innovation grants to 25,000 companies over five years as part of the SSBI Initiative.